You'll make the most of your time in Giza, Dahshur, and Saqqara on this private 2-day tour with an Egyptologist guide. 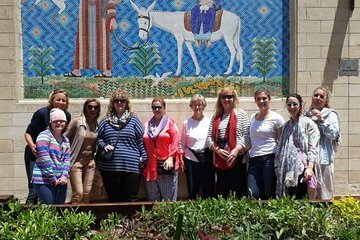 Highlights include the Khan El Khalili Bazaar, the mosques and churches in the Citadel, the Egyptian Museum, and other Cairo sights. You'll also get to ride a camel on the Giza plateau and enjoy dinner on a Nile cruise. This private tour just for you and your party guarantees personalized attention and a flexible itinerary.